Venezuela is in political and economic chaos. More than three million Venezuelans have left the country in recent years, mainly to neighbouring Colombia. The annual inflation rate is expected to reach a mindboggling 10,000,000% in 2019. Prices are doubling every 20 days on average. This has left many Venezuelans struggling to afford basic items. 80% of people now in poverty. The country's economy, once the region's richest, is estimated to have shrunk by 10% last year too; that's a greater reduction than Syria, which is in the midst of a civil war. 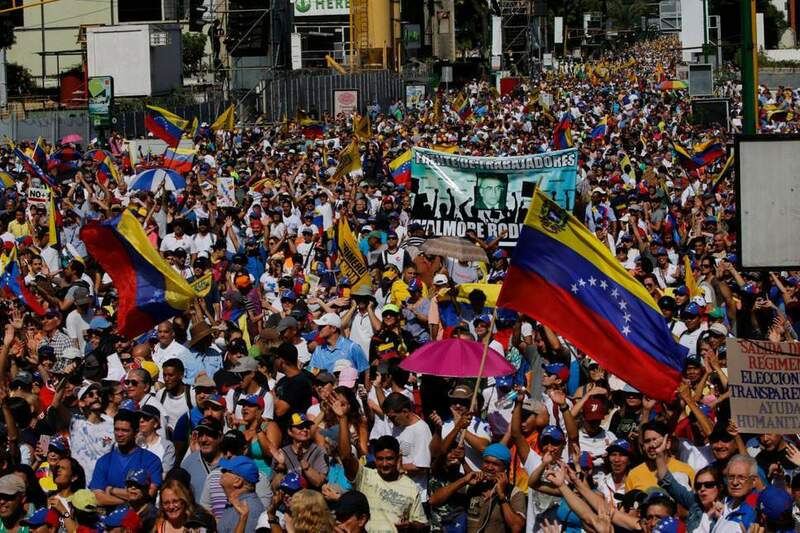 Thousands of Venezuelans have taken to the streets in as part of mass protests against President Nicolás Maduro. They were inspired by a man named Juan Guaidó, who declared himself the President of the country. Donald Trump, along with a number of other world leaders have now officially recognised Mr Guaidó as the country's official ruler. Listener Henry wrote into Benji Hyer’s radio show to say that we have a responsibility to intervene and "look out for our global citizens", but Daniel responded: "if we support an opposition leader just declaring himself as leader of a country, what does that say about how we think our own countries should run?" He argued that with Theresa May's failure at Brexit, what's to stop Jeremy Corbyn standing up and declaring himself as Prime Minister? The country's economy, once the region's richest, is estimated to have shrunk by 10% last year.